In celebration of the most recent achievements of our young people engaging in the employability programme, HELP hosted an in-house presentation of certificates that have been attained by our young people. 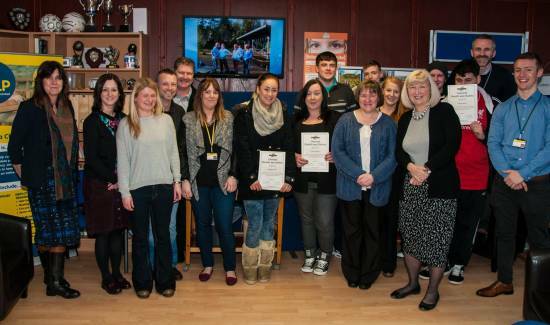 Certificates were kindly presented to the young people by Reverand Aileen Robson. This small, warm and welcoming event was a fantastic way to say a big well done to our young people for all of their hard work in achieving their certificates.